Home » » DVD Releases for July 22nd. DVD Releases for July 22nd. Not much in the way of crime releases this week. 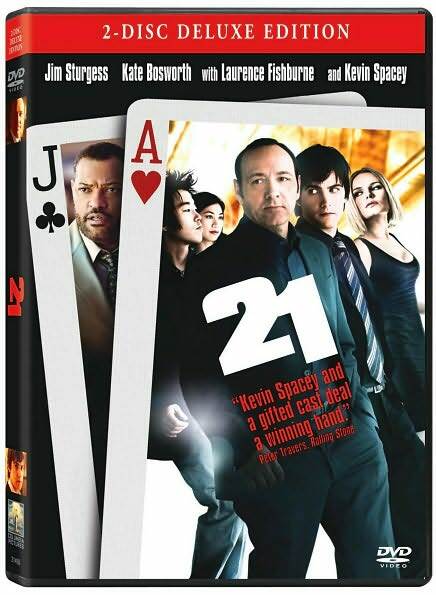 21 (2008) Kevin Spacey, Laurence Fishburne, Kate Bosworth, Liza Lapira, Josh Gad, Jim Sturgess, Masi Oka, Sam Golzari. Extras: Commentary, making-of documentary, a featurette on blackjack and card counting. Also available on Blu-ray Disc. (Sony). Las Vegas: Season Five (2008)Tom Selleck, Josh Duhamel, Molly Sims. Four-disc set with 17 episodes, $59.98. Extras: Gag reel, VFX featurette, “Hot Stuff” featurette, Webcasts. (Universal). For more info on upcoming DVD and Blu-Ray releases, check out our DVD Calendar.